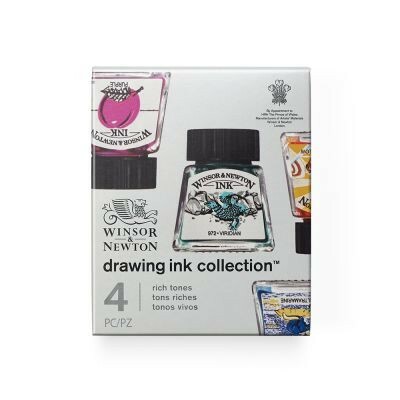 This beautifully presented set of 4 Winsor & Newton Drawing Inks contains four 14ml inks in Rich Tones. The set includes one each of Purple, Ultramarine, Sunshine Yellow and Viridian. 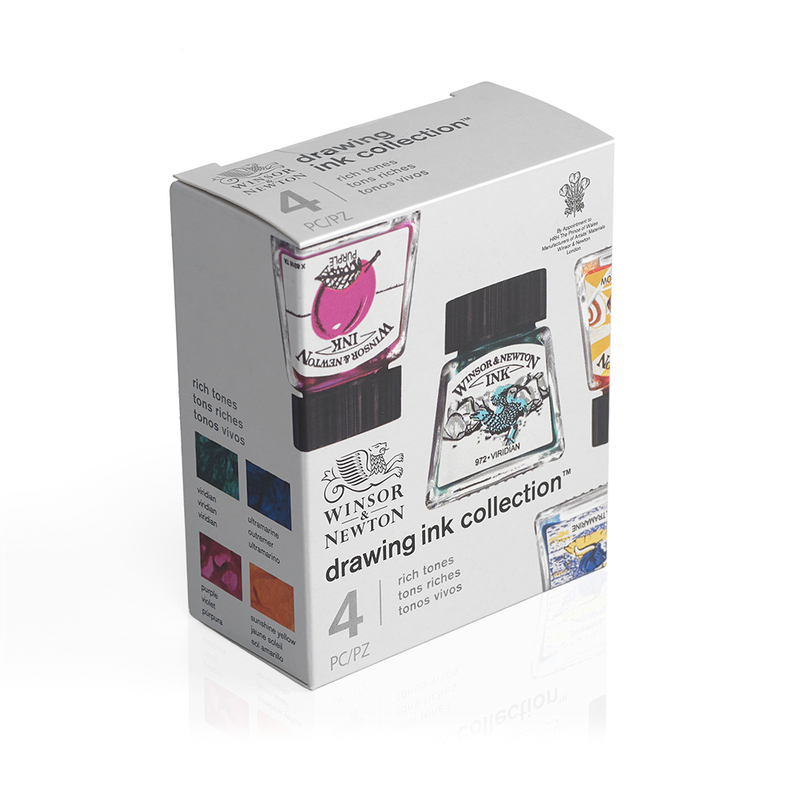 Winsor & Newton Drawing Inks are manufactured from a mixture of soluble dyes in a high-quality shellac solution. 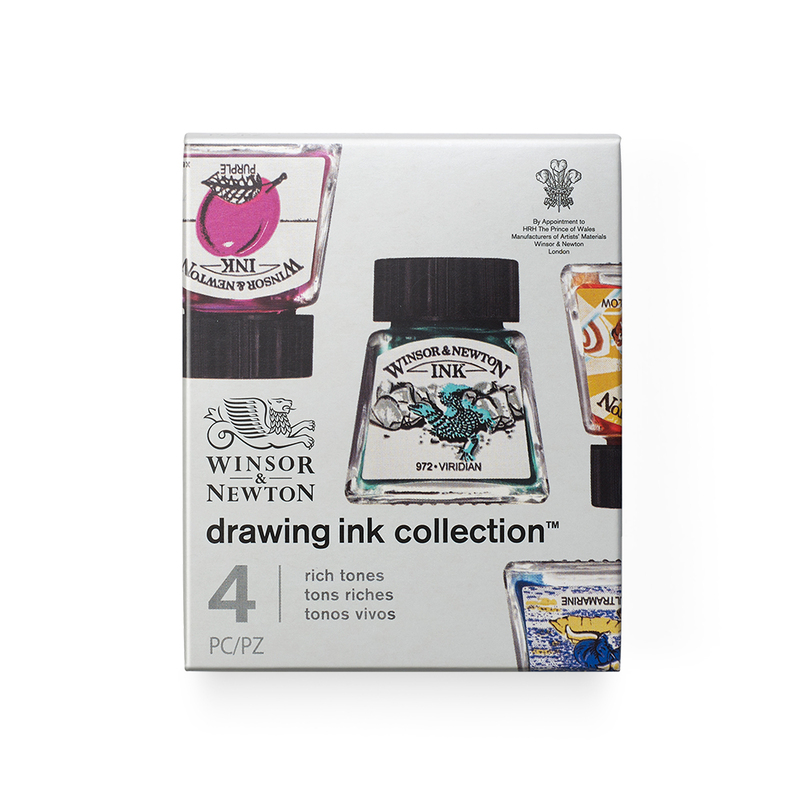 This boxed set combines 4 popular rich tones each packaged in Winsor & Newton’s distinctive ink bottle. 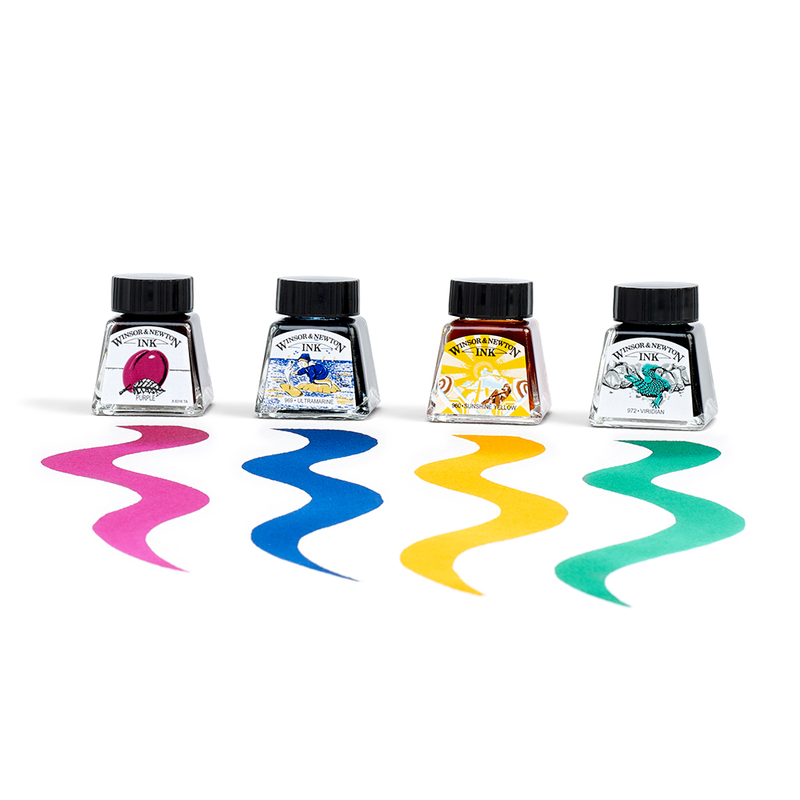 These inks provide artists with brilliant colour that is both fast drying and water-resistant when dry. All colours are fully intermixable, and can easily be diluted to achieve paler tones. The colours in this set are not lightfast. 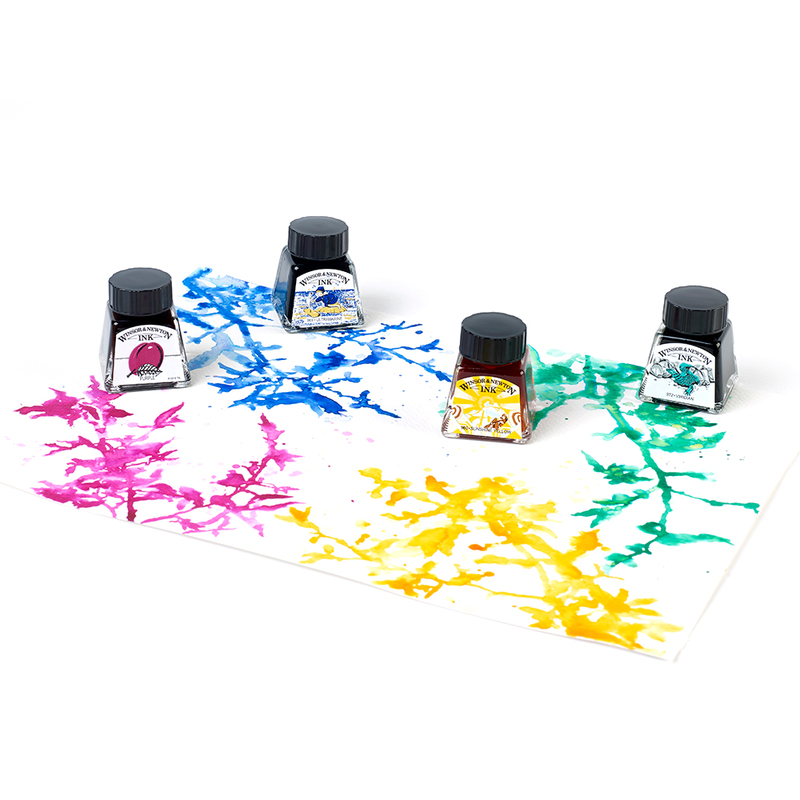 These inks are popular with artists, illustrators, designers and calligraphers, and can be used with various painting and drawing techniques. Try using them with a brush, dip pen or airbrush to achieve some great effects.